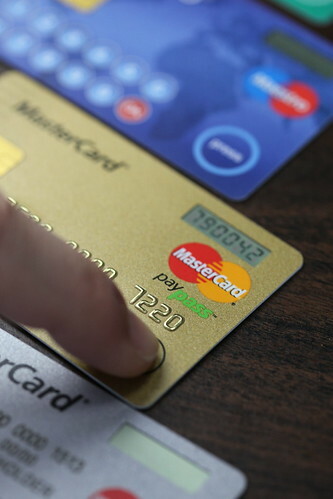 Credit Card Management: Are Credit Cards Good or Bad? Good Monday Morning Green Panda Friends. It’s time for a new series on Green Panda. Our new Credit Card Management series will be featured every Monday and Tuesday over the next several weeks. We will discuss the pros and cons of paying with credit cards, paying off our credit card debt, and the cost of carrying a balance on our credit cards. We will also review several different credit cards to help you find the best credit card to fit your needs. There are several Pros and Cons for using credit cards as a form of payment. Paying with a credit card is a convenient form of payment since we may not always have cash in our pockets to pay for our purchases. The con to swiping our credit card everywhere and using it as a common form of payment is the security risk of fraud. The more places that we swipe our card, the higher risk there is of our credit card being cloned and used for fraudulent purposes. The delayed payment and interest free period are other pros of using our credit card as a form of payment. All credit cards offer an interest free period which usually ranges from 17 to 25 days. This means that we can make a purchase and have 0% interest on our credit card as long as the balance is paid off in full before the end of the interest free period. We should always take advantage of the delayed payment via the interest free period as often as possible. However, the con to the interest free period on our credit cards is that we may not be able to pay off the balance in full by the end of the interest free period; therefore the 0% interest free period will start to cost us. Contrary to popular belief, we do not start earning interest on our purchases as of the first day. We start earning interest on our credit card balance after the interest free period is over. Cash advances and balance transfers do not usually offer an interest free period. Therefore we start accumulating interest as of the first day. Using a credit card as a form of payment and making our monthly payments on time helps us build a good credit history. Our credit card doesn’t have to be paid off in full each month in order to build a good credit history. As long as (at least) our minimum payment is made each month our credit card will be in good standing, and we will continue to build a good credit history. The con to using our credit card as a form of payment is that if we are unable to make our monthly payments on time it can create a negative credit history. Most credit card companies report our payment history to the credit bureau once a month. Our payment history starts to become negative after we are 30 days late on our monthly payment. Therefore, if our payment is due on the 5th of the month, we will start being 30 days late on the 5th of the next month. The credit card company may call us to collect the money after the payment due date, but it doesn’t affect our credit bureau for at least 30 days. Another pro of using our credit cards as a form of payment is that we can earn Rewards Points to redeem towards cash back, travel, and/or merchandise. You can accumulate a lots of point and travel with a airmiles credit card for example. However, the con to this benefit of a credit card is that hoping to earn rewards points may cause unnecessary spending. As long as we do not carry a balance and do not accumulate interest on our credit cards I personally believe that the pros of using our credit card as a form of payment outweigh the cons. They’re essential, that is the world that we live in. You just have to ensure that you keep on top of it and a credit card can be your best friend.